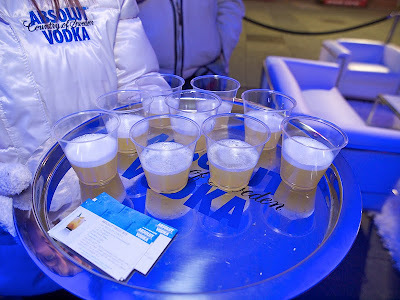 Plush white carpets and comfy leather couches are filling the Absolut Vodka Flavours Lounge in Yonge-Dundas Square in preparation for this evening’s promotion. 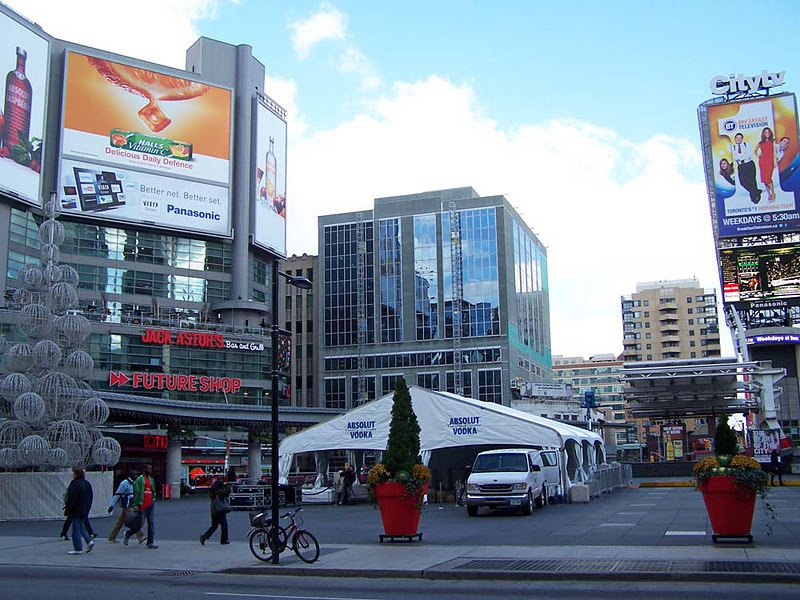 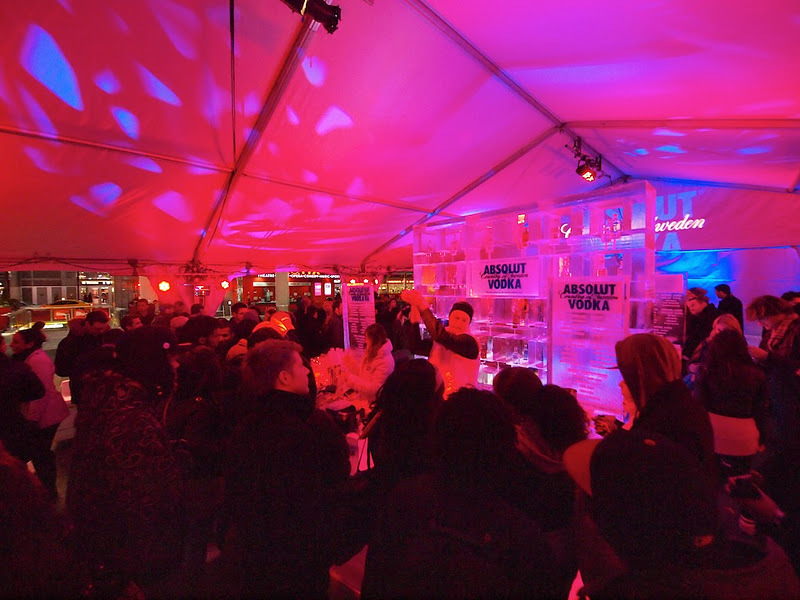 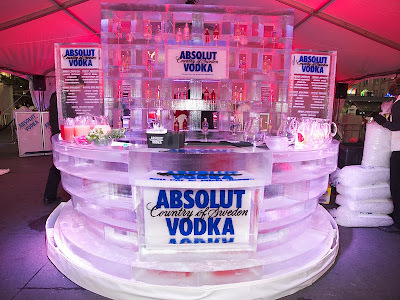 The large tent will contain the one night only outdoor ice bar in downtown Toronto to showcase the Absolut flavoured vodkas. Opening November 17, 2011 from 6pm to 10pm the lounge will provide Torontonians a tasty opportunity to “Savour the Flavours of Holiday 2011” with signature Absolute cocktails. 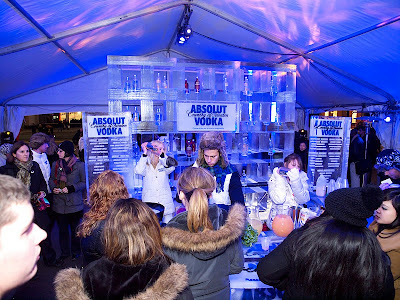 UPDATE: Lauren from LexPR Canada sent me some great photos of the evenings festivities. 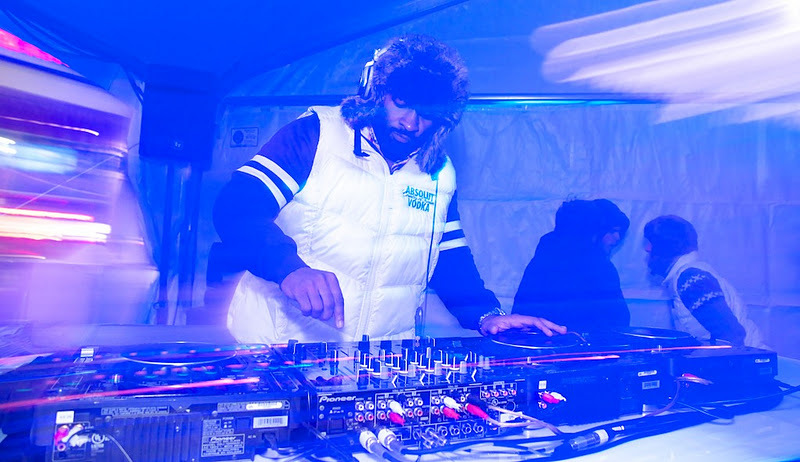 Toronto DJ DEKO-ZE will provide the music to fill the popular downtown park and social gathering place. 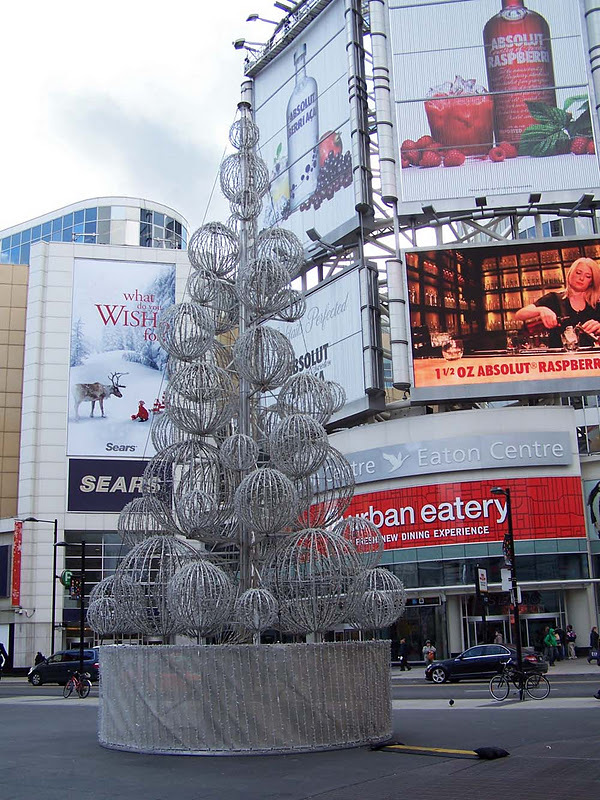 The Yonge-Dundas Christmas tree is in place and you can see Absolut Vodka advertisements fill the walls of the Eaton Centre just across the road.